"During this early period, education must be understood as a help to the unfolding of the child's inborn psychic powers." During this period of development, the toddlers reveal dynamic physical growth, language acquisition, and the rapid development of intellectual and social skills. Our toddler preschool program focuses on providing a secure, warm and accepting atmosphere that will assist children in all aspects of their development during these important growing years. The Nido and Toddler programs offer a doorway to learning in a home-like setting that nurtures the spirit while supporting growth and independence. Through these programs, children progressively achieve their developmental milestones in emotional, physical, social, linguistic, and cognitive skills. This Montessori program takes advantage of the toddler’s natural drive to act independently. The classrooms are a special place for the young child to begin his/her steps towards independence and self-reliance. Children observe the world around them and enjoy stories and songs. Our teachers will assist toddlers with the development of their fine and gross motor skills as well as language skills. Our toddler classrooms offer a safe, loving, and stimulating environment, which caters to a child’s basic needs of trust and nurturing. This prepared environment is in response to the needs of the young child that include the need of movement, language, love and security, discipline, and independence. Our classroom is a safe, child-centered environment in which the children can safely grow and explore. They are free to interact with each other, work together, or be by themselves. Interaction with adults and other children give them the experience of the usage of language and increment of vocabulary. 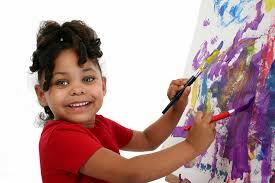 Caring and nurturing supervision provide a sense of love and security to the young children. The carefully arranged environment with motives of purposeful activities foster discipline and independence in young children. Blossoms Montessori School advances each child's growth and development through a rich and well-prepared environment designed just for toddlers.